Last week we went on a vacation. A cruise actually. It was relatively fun if you ignore the serious sea sickness and the whiny kids I had to deal with for 7 days. Other than that…perfection. Sun, sea, sand, great people, beautiful waters and NO work. And trust me the irony of working hard for a straight year to make enough money to go on vacation does not get past me. In any case, here I am, home again and ready to get started on upcoming DIY beach shadow box with sand that I hope you will love. Now we all do it- we go on vacation, take 900 pictures, come home, put them on social media with the best intentions of putting them in a book or something and a year from now , with no book in sight, we are doing it again on a new vacation. YOU CAN STOP THE CYCLE! 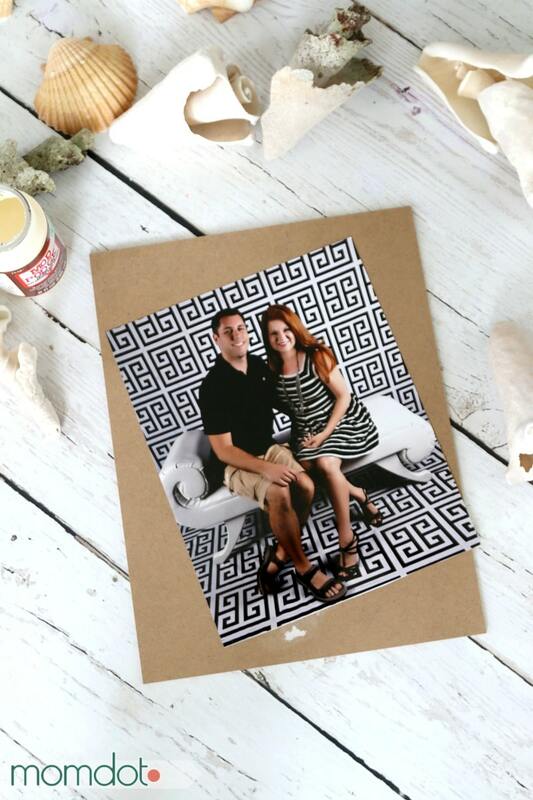 I wanted to share a fun, easy, and inexpensive craft that gives you NO excuse to not get those memories front and center, but it does require a little bit of prep. Prior to vacation, you will need to throw in zip lock bags to your suitcase. 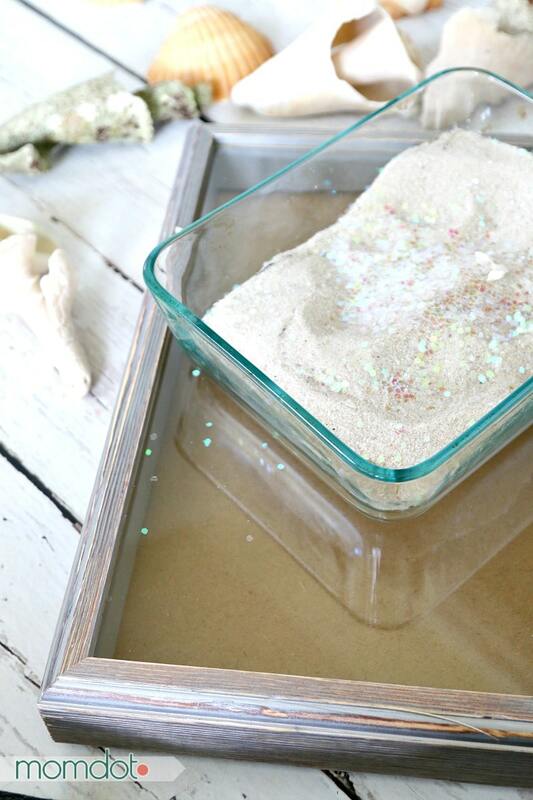 You will use these to collect samples of sand from the beach you laid on for a week and seashells you found at the shoreline to create your beach shadow box with sand. Optional and just as fun, bring a small little bottle that you can add a little bit of ocean water too. On the fly, an empty water bottle with a lid works. Unless you are flying, then they will just take that. 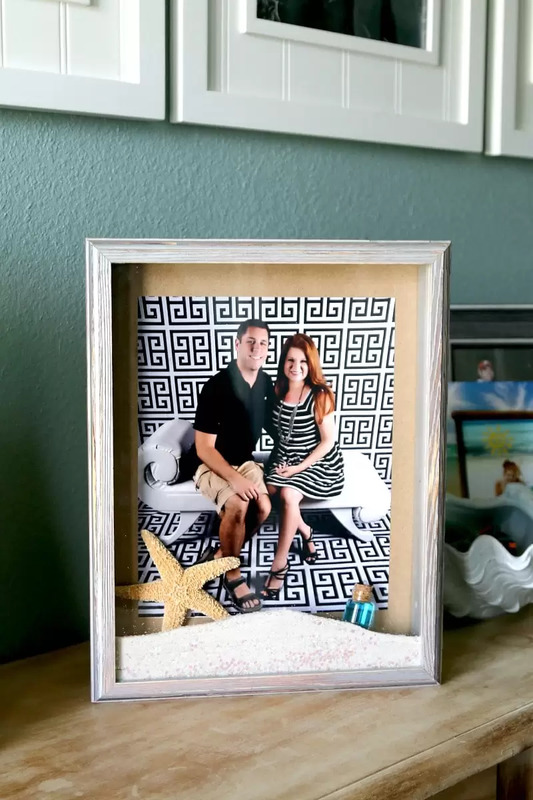 Shells from the beach – we collected a ton from Mexico that were great but ended up being too large for the shadow box I bought, so if you have larger shells, bring them with you to pick out your frame to ensure a fit. I had to end up using some other shells I had around the house for this demo. Secure framing and display. 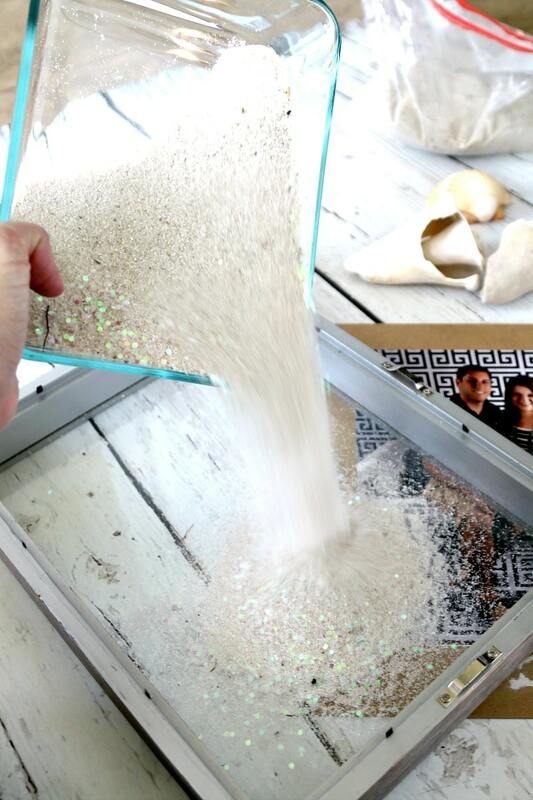 OPTIONAL: Now sand is tricky- if you move your shadow box a lot, it can leak out. To stop this you can seal up your shadow box with hot glue around the back or even put some felt around the back so it cannot drain out. Now our memories are on display! Want more awesome beach crafts? I have a great Pinterest board here! <————-Follow and lets have fun this summer!